Alexandra DeSanctis is a National Review Institute William F. Buckley Fellow in Political Journalism and a graduate of the University of Notre Dame, where she studied political science, theology, and the Constitution. She has interned for the Laura Ingraham Radio Show, USA TODAY, and the High Point Enterprise newspaper in North Carolina. 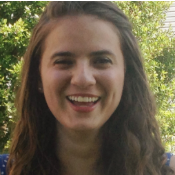 Alexandra has written for the College Fix, the National Catholic Register, the Cardinal Newman Society, and the online journal of religion and politics Ethika Politika. What do young people think about abortion? Are Millennials turning into godless heathens? 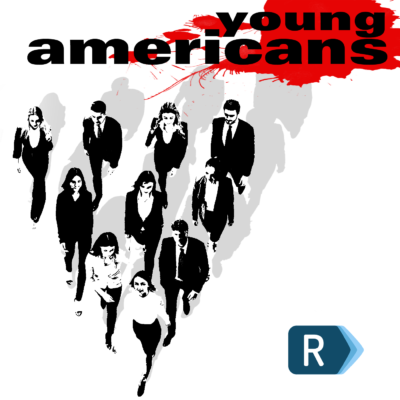 With abortion and religion in the headlines, Host Jack Butler explores where young people stand on these areas and speculates on how they will develop as issues in the future, with the help of National Review staff writer Alexandra DeSanctis. The Left’s Venti-Sized Freakout, Mayor Pete’s Prospects, Hillary 2020? Alexandra DeSanctis of National Review and Greg Corombos of Radio America enjoy watching liberals freak out over the possibility of an independent presidential bid by former Starbucks CEO Howard Schultz, who is much more closely aligned with Democrats than Republicans. A Notre Dame graduate, Alexandra also shares her insights into the presidential campaign of South Bend, Indiana, Mayor Pete Buttigieg and why his message could resonate with Midwest voters. And they roll their eyes as CNN reporter Jeff Zeleny says the Mueller indictments have Hillary Clinton once again thinking about running in 2020. 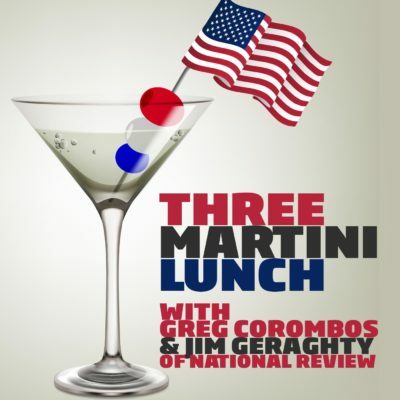 Alexandra DeSanctis of National Review and Greg Corombos of Radio America tackle three crazy martinis today. They wade into the battle of monstrous egos as CNN White House Correspondent Jim Acosta grandstands and tries to debate President Trump about the migrants headed for the U.S. border and Trump responds by calling Acosta a “terrible person” and pulling his White House press credentials. They also recoil as Antifa protesters find the home of Fox News host Tucker Carlson, damaging his front door, and chanting that they know where he sleeps while Carlson’s wife hides in the pantry. They get a kick out of the rank hypocrisy of the left-wing Women’s March for berating the white women who voted for Republicans. And Alexandra takes us inside the North Dakota and Indiana Senate wins for the GOP and what she learned from covering those two races closely. Alexandra DeSanctis of National Review and Greg Corombos of Radio America applaud the Senate for confirming Brett Kavanaugh and, more importantly, for standing up for defending some of the most fundamental principles of the American system of government. They also sigh as former Attorney General Eric Holder says the legitimacy of the Supreme Court is now in question and only upcoming rulings can answer the question, and Justice Elena Kagan questions whether the high court is legitimate now that there’s no obvious swing justice like Anthony Kennedy or Sandra Day O’Connor. Alexandra sounds off on a New York Times op-ed calling white women gender traitors who benefit from keeping the patriarchy in place. And they roll their eyes as Columbus, Ohio, stops observing Columbus Day. Winc’s wine experts select wines matched to your taste, personalized for you, shipped right to your door, and starting at just $13 a bottle. 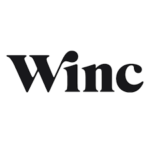 Go to TryWinc.com/MARTINI to get $20 off your 1st shipment. Alexandra DeSanctis of National Review and Greg Corombos of Radio America enjoy watching new Republican ads tying incumbent Senate Democrats to Hillary Clinton’s trashing of Trump voters. 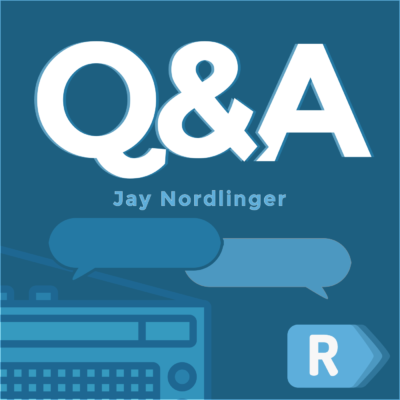 They also respond to former Supreme Court Justice John Paul Stevens, who says individual gun rights should have vanished at the same time as state militias and that the second amendment ought to be repealed. And they get a kick out of the New York Times breathlessly revealing that state laws designed to limit abortion are all part of an effort by pro-life activists to reverse Roe v. Wade. DHS & the Midterms, Left’s ‘Kids vs. Guns’ Premise, Did Bots Topple Franken? Alexandra DeSanctis of National Review and Greg Corombos of Radio America are glad to see the Department of Homeland Security taking a thorough, pro-active approach to securing the 2018 midterms. They also slam MSNBC’s Katy Tur for being the latest liberal journalist to suggest Americans frame the gun debate as, “Kids or guns, what do you value more?” Alexandra strongly calls out the intellectual dishonesty and rampant hypocrisy involved in that approach from liberals. They get a kick out Newsweek suggesting that internet bots are really responsible for the ouster of Minnesota Sen. Al Franken, as opposed to his own inappropriate behavior. And they pause to remember the life and legacy of evangelist Billy Graham. Alexandra DeSanctis of National Review and Greg Corombos of Radio America cheer the family leave plan pushed by Sen. Marco Rubio and Ivanka Trump to allow parents to tap their future Social Security checks to cover the weeks surrounding the birth of a new baby in exchange for waiting extra weeks when they reach retirement. In addition, Alexandra rebuts the liberal insistence that family leave must be a whole new entitlement. They also slam Republicans for effectively surrendering the option to use budget reconciliation for the next two years as part of the horrific budget deal with Democrats. And they fire back at Republican lawmakers who spent Thursday trashing Sen. Rand Paul’s filibuster as a waste of time, when those GOP members are really just mad that Sen. Paul called them out for their blatant hypocrisy on deficit spending and not wanting to take a vote on restoring budget caps. Alexandra DeSanctis of National Review and Greg Corombos of Radio America are deeply disappointed that the Senate is unlikely to pass a bill banning the vast majority of abortion past 20 weeks of pregnancy, but are heartened that most Americans support the restrictions, including a majority of Democrats and a majority of women. They also hammer “Fire and Fury” author Michael Wolff for his sleazy efforts to suggest that U.S. Ambassador to the United Nations Nikki Haley is having an affair with President Trump and they praise Haley for her clear and dignified denials. And they roll their eyes as the Grammy Awards telecast shoehorns Hillary Clinton reading an excerpt from “Fire and Fury” into the show, a move made even more baffling in this #MeToo environment by recent reports that the 2008 Clinton campaign took no action against Hillary’s faith adviser for sexual harassment. Alexandra DeSanctis of National Review and Greg Corombos of Radio America are actually glad to see Sen. Kamala Harris and other national Democrats admitting they want single payer, government-run health care for everyone and they hope America is still ready to reject it. They also hammer radical activist Linda Sarsour for acting as if she’s raising money for hurricane victims when her real goal to build up the bank of her organization to foster division along ethnic, racial, and gender lines. They also pound Politico for a horrible political cartoon characterizing Texans as confederate, Christian rubes who should realize they are being rescued by government rather than God. And they close by shaking their heads at the cases of Americans who injured themselves by applying sunscreen directly to their eyeballs to look at the recent solar eclipse. Alexandra DeSanctis of National Review and Greg Corombos of Radio America are all for a robust federal response to assist in the recovery and the rebuilding of the Texas coast, but they also don’t want to see the legislation turn into a spending spree for a bunch of unrelated projects for other parts of the country and they applaud political and policy figures for setting that priority now. They also unload on the mayor of Berkeley, California, for calling for speakers like Milo Yiannopoulos and Ann Coulter not to speak on campus because it might set off the Antifa rioters. And Alexandra explains the litany of double standards as the media and social media savage First Lady Melania Trump for wearing high heels to board Air Force One on her way to survey the devastating floods in Texas.